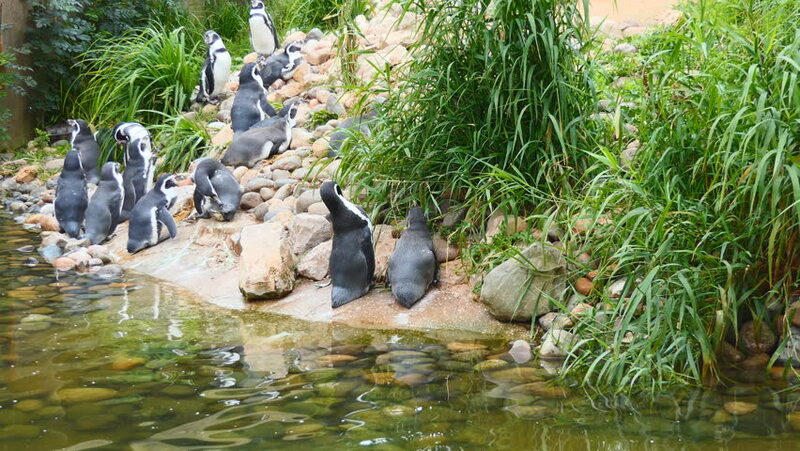 Penguins on the stony shore of the pond. hd00:30Mountain river scene setting with rushing water and large boulders, high definition stock footageie clip. 4k00:09Fluffy Canada Goose Goslings by the side of a pond.